I took 3rd place in the minimalist category of the 555 timer compo for my persistence of vision display. I’d also like to thank Allerta and CafeLogic for sponsoring the compo and the cool prizes (an iPulse watch and a box o displays). 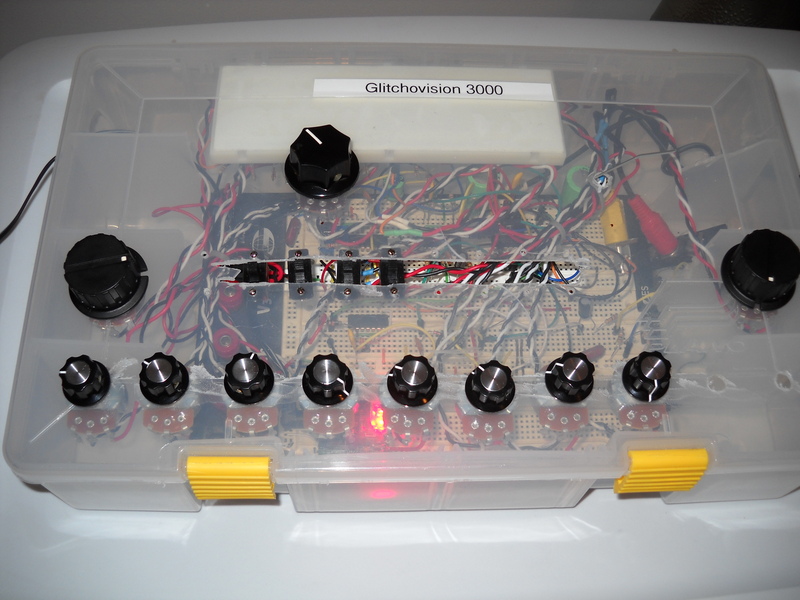 This is an audiovisual instrument that I created for the 555 timer contest. 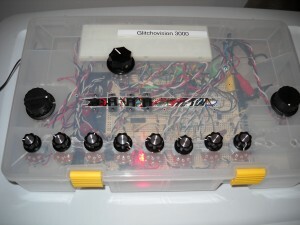 The Glitchovision 3000 is a 4 step sequencer controlling an ‘Atari Punk‘ synth with a greyscale NTSC video visualization of the output audio, built using two 558 quad-timers and two 556 dual-timers. I created this display for the 555 timer contest, a compact art piece that cries out in appreciation of the venerable 555 timer. 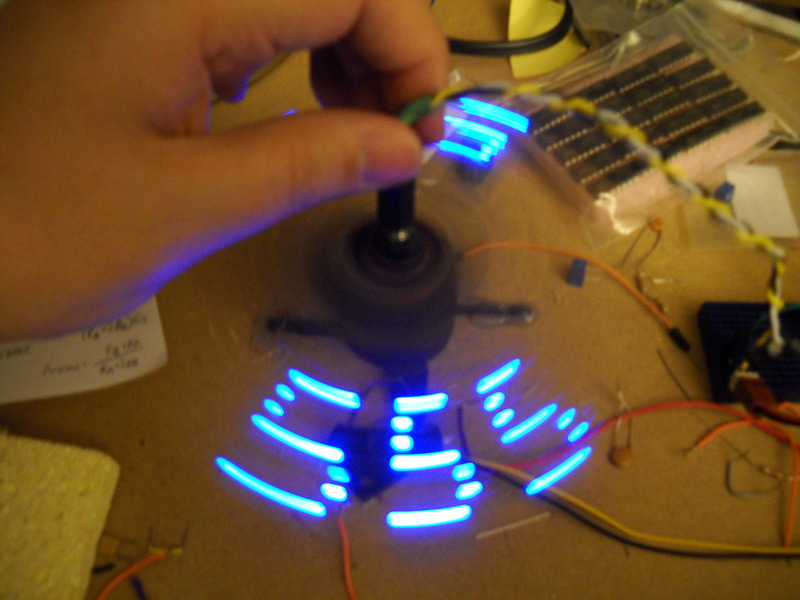 It’s a persistence of vision display formed by 7 blue leds and 3 NE555 timers, which spells out 5 5 5 as it revolves.